Get up to 500 FREE spins with every deposit! Visit website for full T&C's. 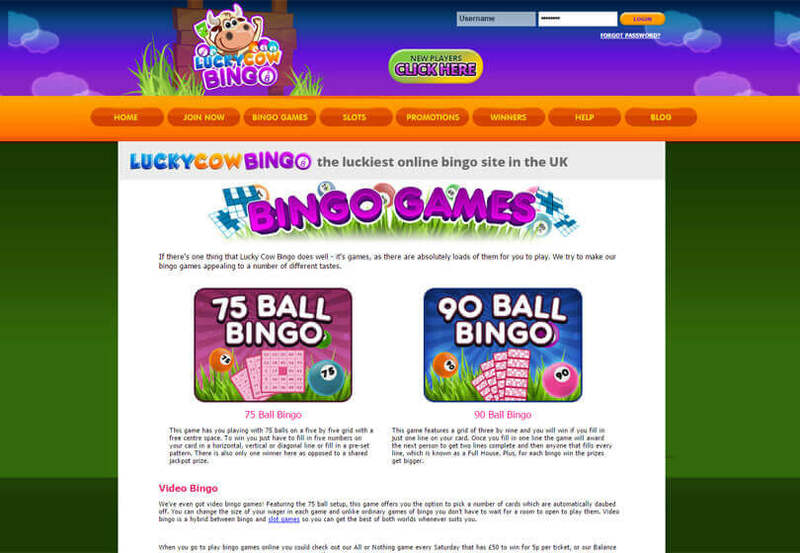 Lucky Cow Bingo was chosen as one of the best UK bingo sites! Are you feeling lucky? 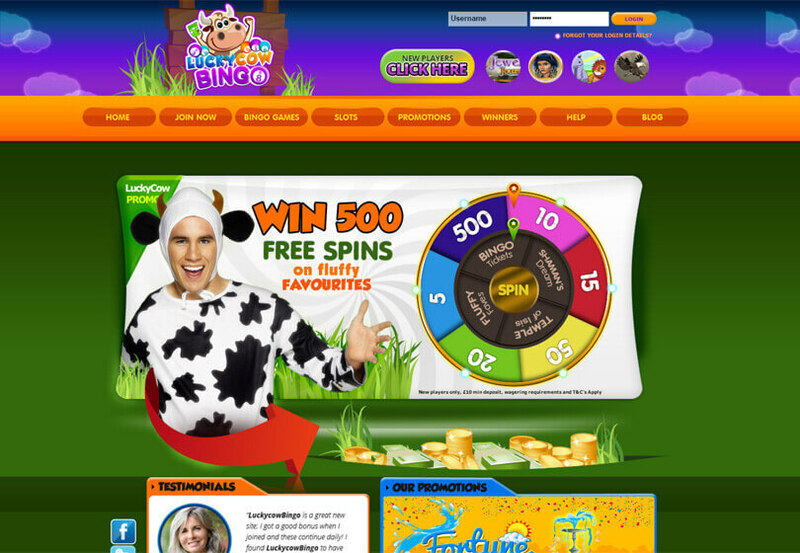 You soon will be if you take a spin on brand new bingo site Lucky Cow Bingo. This new offering from the equally snazzy new bingo network, Wheel of Slots Network, which provides a great new perspective to online and mobile bingo gaming.  Powered by the well-recognised Jumpman Gaming, you can expect great things from this new site which proves to be highly mobile compatible with its cute cow mascot visible no matter what device you choose to play on. The welcome bonus on offer here is unlike what you would find on most sites, with the promise of up to 500 super spins on slots rather than a percentage bingo bonus for joining the site. This year the prestigious Which Bingo Awards panel has officially declared what we’ve always known — Lucky Cow Bingo is the BEST Jumpman Bingo Site! With over 12,000 votes cast, the results were clear and Lucky Cow Bingo came out on top! Congratulations Lucky Cow Bingo! 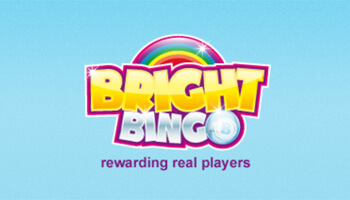 It couldn’t be easier to get started on your way to winning big on this bingo site, as all you have to do is type the site address into the address bar of your device, whether playing mobile or online. 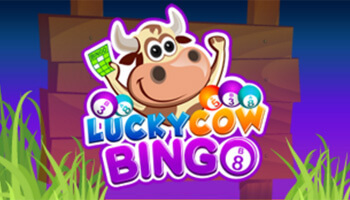 Lucky Cow Bingo is highly compatible with most device types, on both Android and iOS. To make things easy and efficient, Lucky Cow Bingo accepts most major and debit cards as methods of payment and withdrawal from the site, which you can save to your account ready to top up whether you’re on your PC or smartphone. There are so many great games to choose from at Lucky Cow Bingo, including plenty of great bingo games at your fingertips. Choose from a range of both 75 ball and 90 ball bingo games here, which come with loads of different ticket prices and jackpots to suit almost every type of player. As if that wasn’t enough there’s also free bingo on offer for 2 hours every single day, so make the most of the free fun and never miss out on your favourite game. 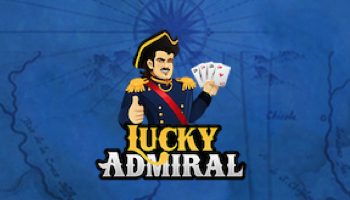 If you enjoy instant games, you’ll love the library of slots on offer here. Choose from all your favourites – which you can bag free spins on from day one – such as Shaman’s Dream, Fluffy Favourites and Piggy Payout, or go on a Jewel Journey or uncover the Temple of Isis to see what fortunes are held in these themed slot games. Although the welcome bonus offers Lucky Cow Bingo free spins when you make your first deposit of at least £10, the free spin fun doesn’t end there. Plus there are plenty of fantastic regular bingo jackpot promotions to take advantage of including the quarterly Cash Fountain promising a £500 community jackpot, the balance booster £250 monthly jackpot game or the All or Nothing weekly £50 game. 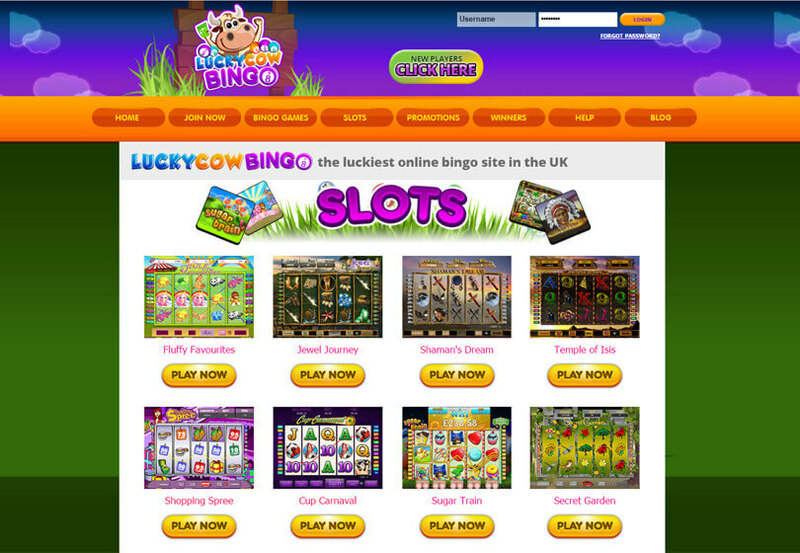 Lucky Cow Bingo offers a new take on the hugely crowded online bingo market. By offering spins instead of bonus as an incentive, with more regular rewards for players, it could be a great alternative to some of the other top sites. The brand could stand to do with a few more slot games and a few more promotions, but as it’s a new site we’re sure that will come in time. We hope this Lucky Cow Bingo review gives you enough insight to choose whether or not it’s the best new bingo site for you to play on.